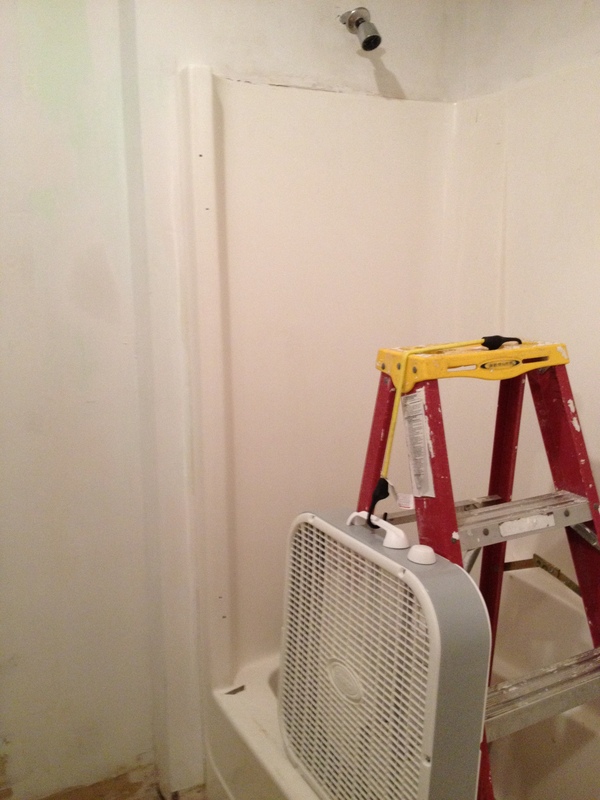 This is about another bathroom renovation, but this time it takes place at my parent’s house. 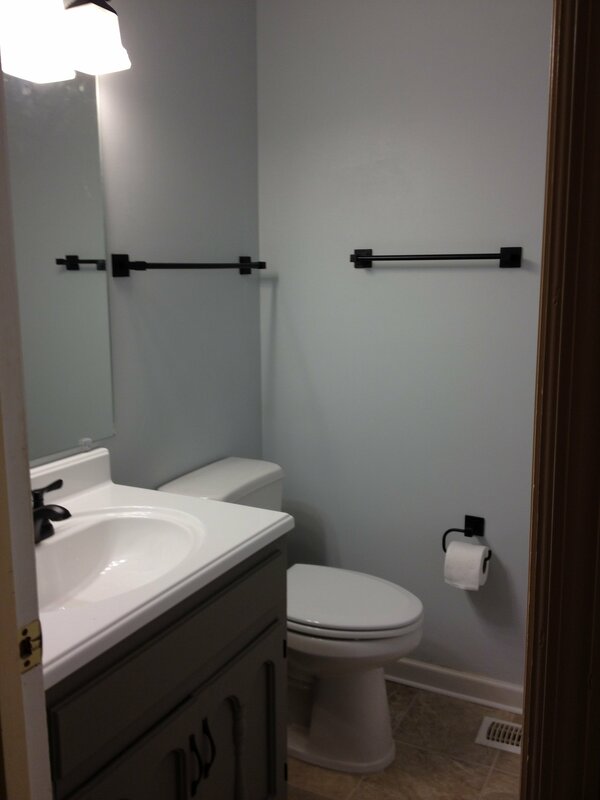 It is not often that my parents leave town for the weekend, but last Friday they did, leaving us the perfect opportunity to redo their hallway bathroom. 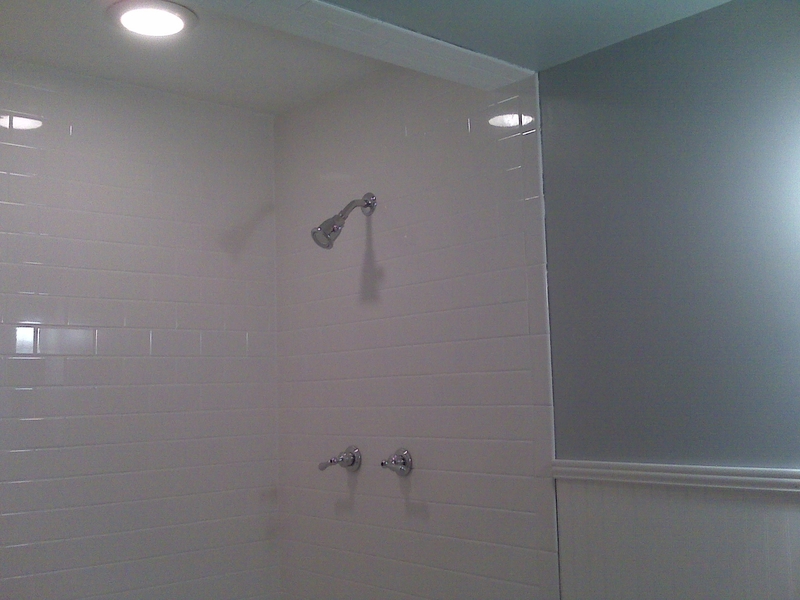 It was meant to be a surprise that went along the lines of one of those HGTV beat-the-clock makeovers. 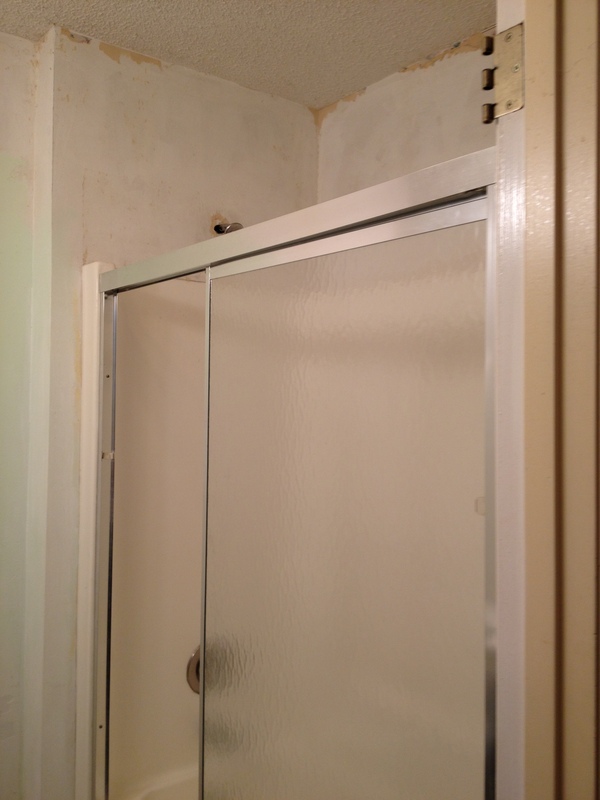 This bathroom was a victim of 40+ years of wallpaper–several layers, in fact, which Mom inherited when they bought the house. 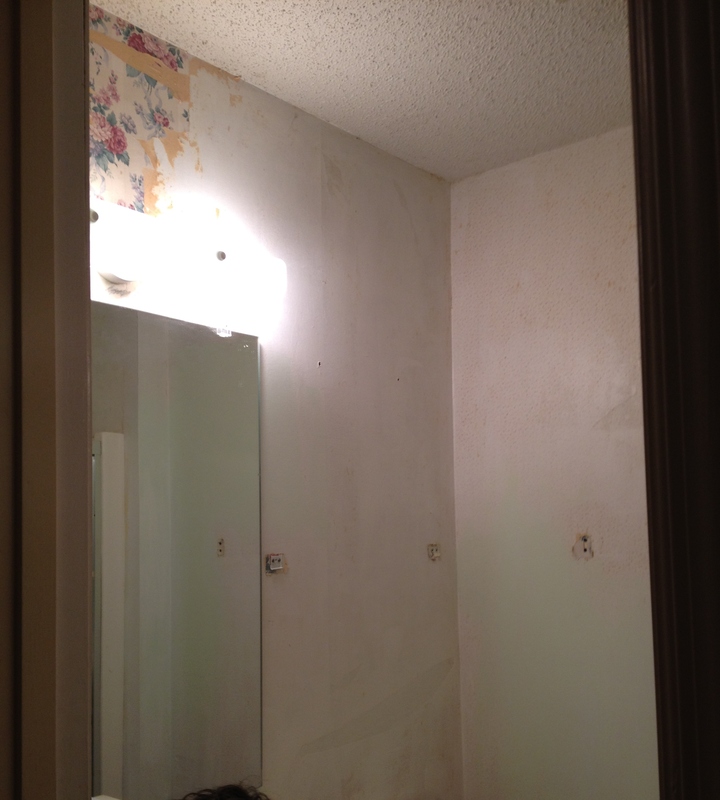 Mom had already started tearing out the wallpaper, but gave up when the sheetrock started coming off with it. Norm and I hit it with a clothes steamer and a couple of putty knives and got to work. It was a mess and took us all of Friday night and most of Saturday to get the remainder down! There was paint between the layers of wallpaper, which made the job even more fun. I think it would have been easier to gut the room to the studs and start over, I mean, that’s how we usually tackle a makeover, right? But time was an issue and we wanted to be out of there before Mom and Dad got home on Sunday night. Friday night we left the fan running to dry the walls out and got up early Saturday to continue the work. Norm went on ahead of me so he could put up a skim coat of mud over the walls to even things out. Meanwhile, I went shopping for flooring, paint, and fixtures. We accomplished a lot by Saturday evening, but were not where we wanted to be, time wise. Sunday came soon and it was time to hustle. 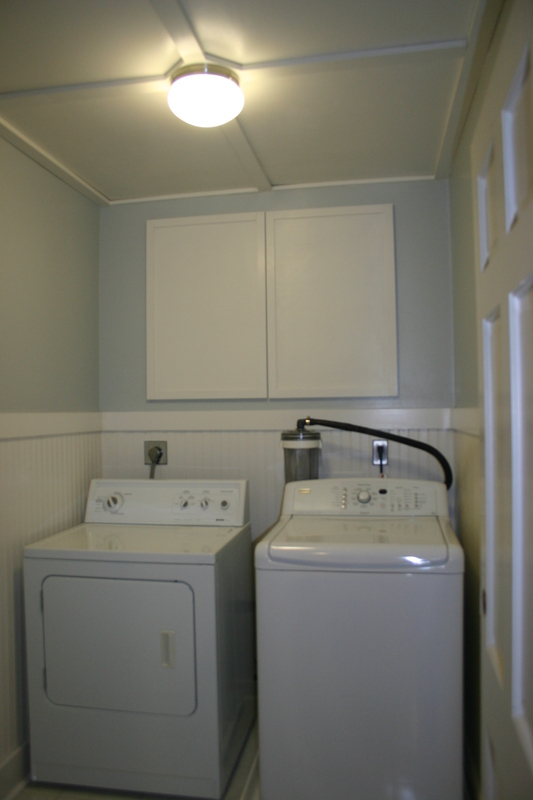 We still had to paint, lay the floor, put the toilet back in, replace the vanity top, plumb the new fixtures, wire the new outlets and switches, cut and place the baseboards and quarter rounds, and replace the lighting–all that on Sunday, before they were due to arrive. The floor went down like a dream. Oddly enough, I had taken the old piece of linoleum (which came out in one piece), and traced it over the new linoleum with a pencil. 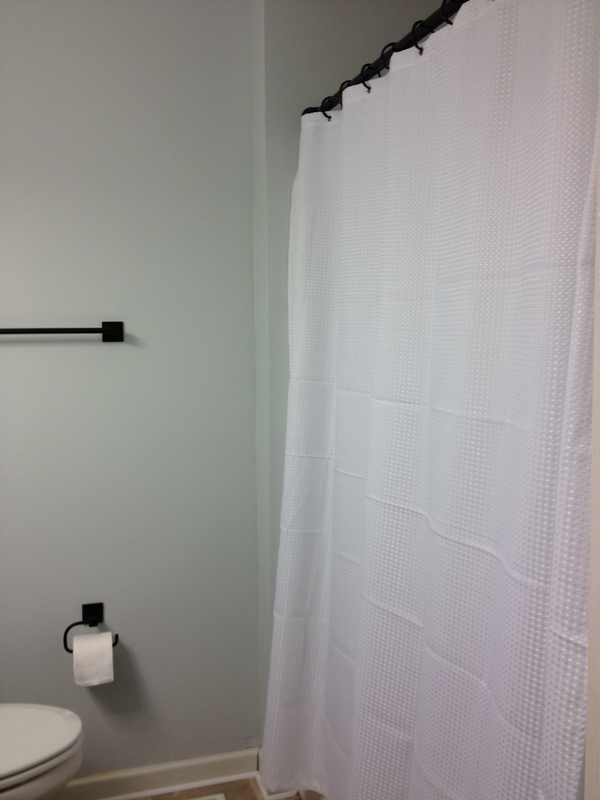 Before I cut, though, I decided to measure the room just to make sure… and boy am I glad I did! The old flooring had shrunk about three inches on all sides, so my “pattern” was way off. It could have been a nightmare, but luckily the crisis was avoided and I was able to get the pencil marks out! 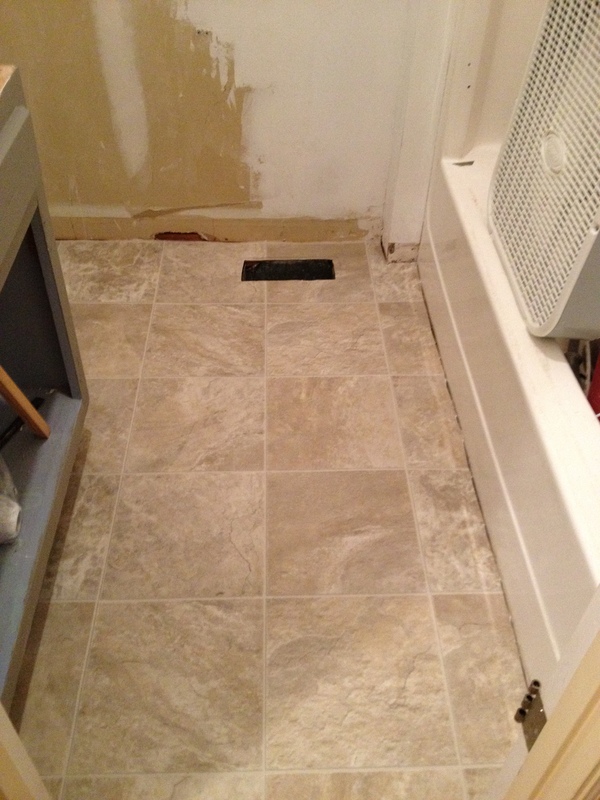 When we laid the new floor it went in perfectly with only the doorway needing to be trimmed up. 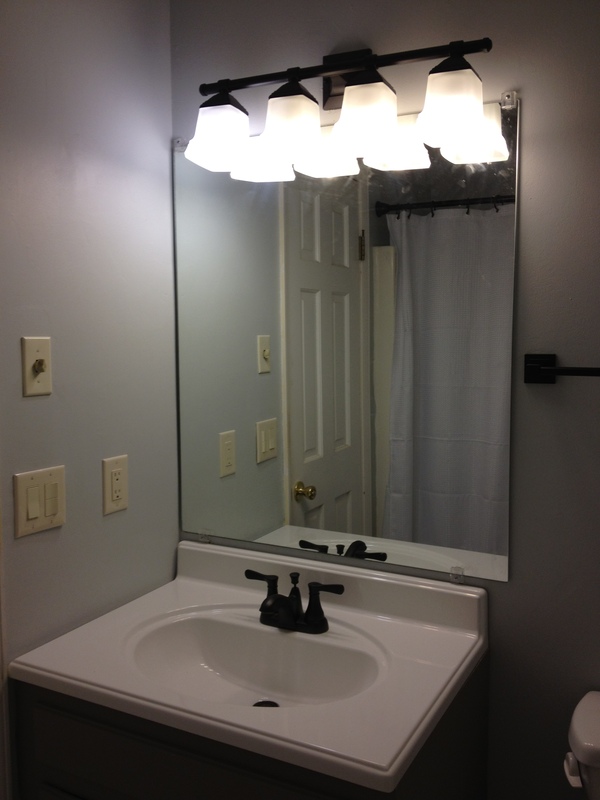 If I had it to do over, I think I would have gone with white switches and outlets. The only reason I chose almond, is because their tub is almond, but very light–more of an ivory. We can always change those later. So what did Mom and Dad think of us taking their house hostage for the weekend? I think they were pretty surprised! I would just like to wish all of you a happy Mother’s Day! The Best Mom in the World! 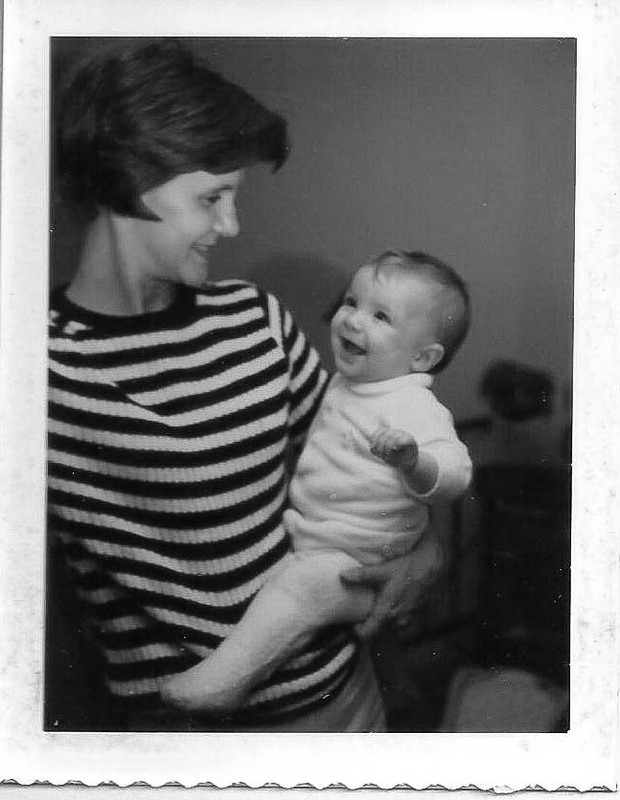 (Mom and me, 1968).